Want a wall table for your keys but don't want to spend the money on one? Or have a hallway that's just too narrow for a real table? 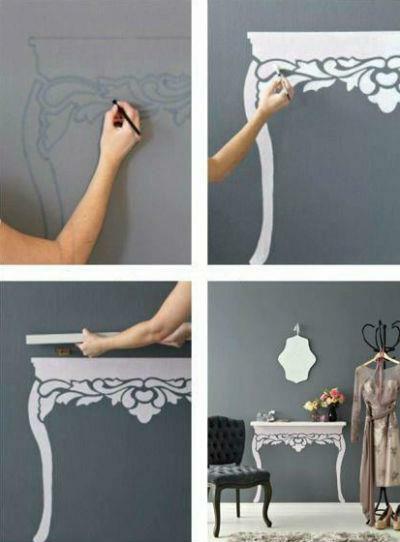 Try using a floating shelf and painting a table underneath. Get the full tutorial via ideas. @JWo DesignsThat's so true! I'm adding it to the description. Thanks! Inspired by this amazing idea I have created a wall decal. I have created a wall decal inspired on this.